Why Use MakeStickers for Your Sticker Business? 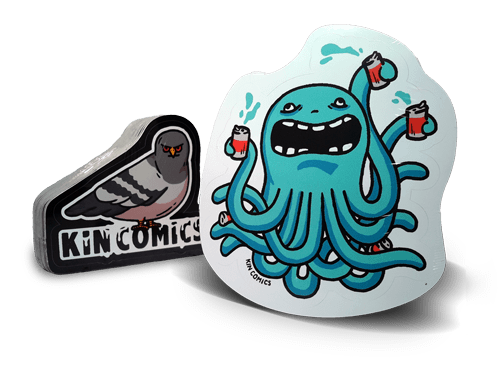 Here at MakeStickers we offer wholesale, custom designed bumper stickers that you can resell at any price! Our wholesale stickers are competely unlabeled and have no identifying marks from our company. You can use any of our online templates to quickly make a sticker or upload a ready-to-print design. 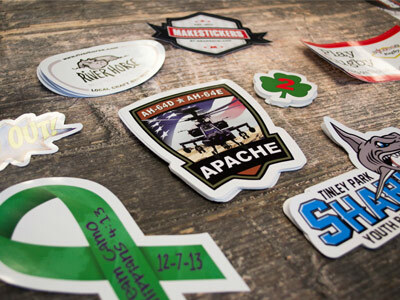 We’ll ship the stickers directly to you (not your customers) and you can resell them on your website, in a retail store, to other organizations, or any way you like. How much do your stickers cost? Prices vary with size and volume. See our complete pricing list. Will you ship to my customers? No, we don’t drop ship directly to your customers. We’ll send a box of stickers to you, and then you can sell them to your customers and ship them yourself. Are these really custom bumper stickers? Definitely! You can use our any of our sticker templates, or you can upload your own design. We’ll work with you to make sure you get exactly what you’re looking for. Can I resell them myself? Absolutely! Our custom wholesale bumper stickers don’t have any identifying marks on them from our company, so your customers won’t even know we exist. Can I resell for more than I paid for them? Absolutely! Buy them from us in bulk at a discount for less than $.70 cents each and resell them for any price. Do I have to resell them, can I use them for fundraisers and promotional giveaways? Of course! Our wholesale bumper stickers are great for fundraisers, promos, and anything else you can think of. My logos and designs are proprietary, can I trust you guys? Of course! During checkout, you can opt-out of letting us use your design in our promotions and social media. We take privacy and copyright very seriously here. Can I sell these stickers online? Definitely! Sell them online, in retail stores, to other companies; virtually anywhere you want. How do I mail the stickers to my customers? Most of our bumper stickers fit in regular #14 sized envelopes and can be shipped by using just one first class stamp. We suggest that you fold a regular piece of paper (8.5 x 11) in half longwise and then put the sticker between the folded sheets, sort of like a hot dog in a bun, then just put the folded paper and sticker into your envelope and mail them. This protects the stickers pretty well. The folded paper can be a note to your customer or their receipt. Can you give me digital versions of my stickers too? Sure thing, we can give you a .jpg image of your stickers. Do you have templates I can use? Yes, you can use our standard templates (found on our website) or you can upload a custom design of your own.